Get 20% off tickets with the code PCG. 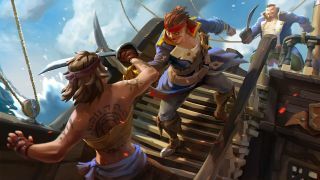 "As our first PC game, we had an opportunity with Sea of Thieves to build it for the PC community. We figured that to achieve this we needed to work with the PC community from day one, so here is our story..."
Attendees will also have the chance to ask Ted a few questions at the end, so don't miss it. Check out the rest of the panels announced so far here and here, and don't forget you can save 20% on Weekender tickets using the code PCG. Prices start at just £12.99.